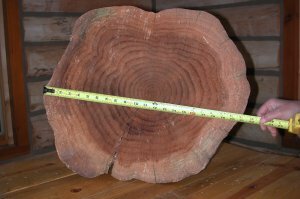 This 25 year old tree grew in Fresno California. 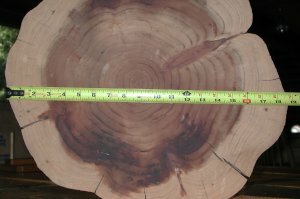 It was growing in the backyard of a home in the Old Fig Garden area. 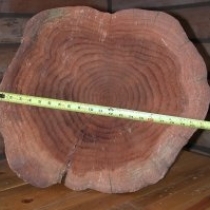 The home changed owners and the new owners failed to water the tree. 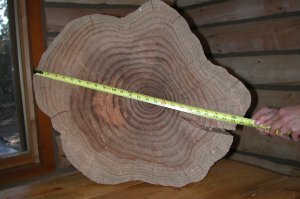 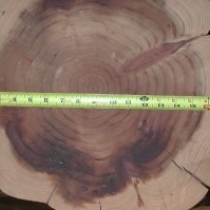 You can see that the growth rings are wide in the middle of the tree when the original owners were caring for the tree. 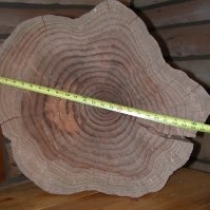 Near the edges are very small growth rings showing the neglect that led to the tree's death.